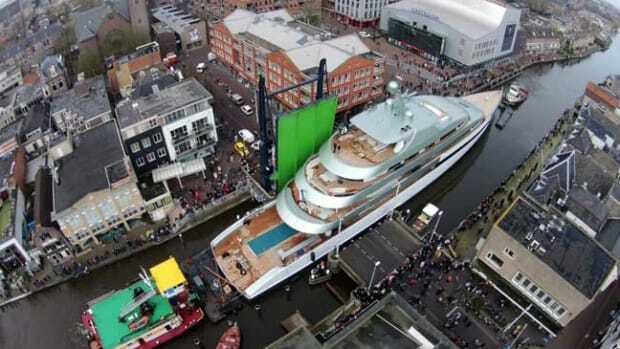 In a spectacular ceremony at the Feadship yard in Aalsmeer (NL), Feadship launched 273ft. 11in. (83.50-meter) Savannah. 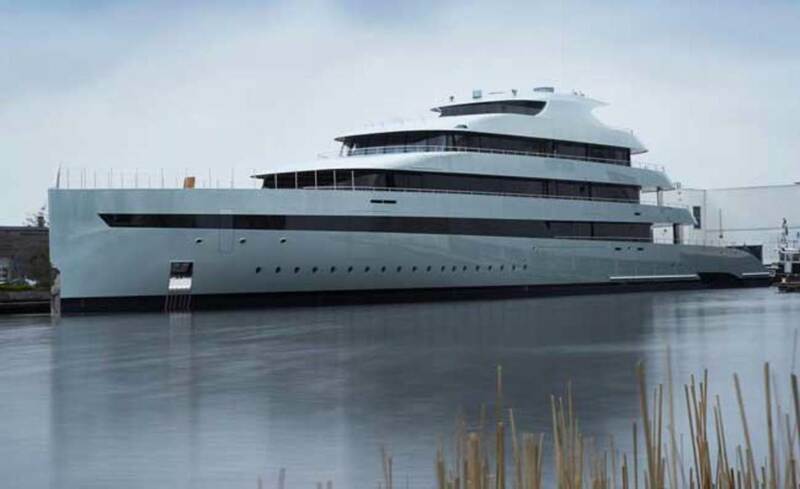 She is the first superyacht to feature an eco-friendly blend of single diesel engine, three gensets, batteries, propeller, azimuting thruster and a streamlined hull shape. 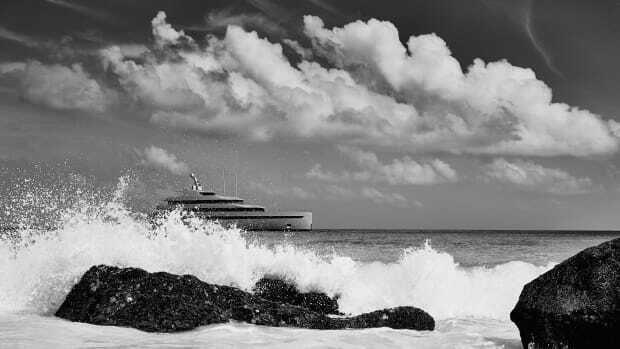 Offering fuel economies of 30 percent, the pioneering electro-mechanical propulsion platform marries Feadship’s past experience and forward-thinking approach within a pure custom creation. 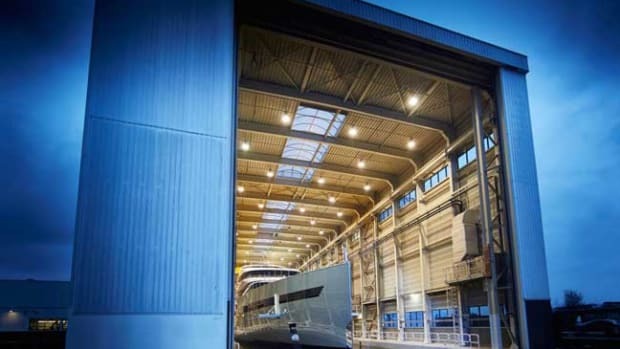 Further innovation comes in the form of a floating superstructure, an underwater lounge, the ‘open’ aft deck areas, and much more. The James Bond-themed launch ceremony on Saturday evening saw a dramatic mix of singers, dancers and acrobats entertain the people involved in the construction of Savannah over the past three years and their families. 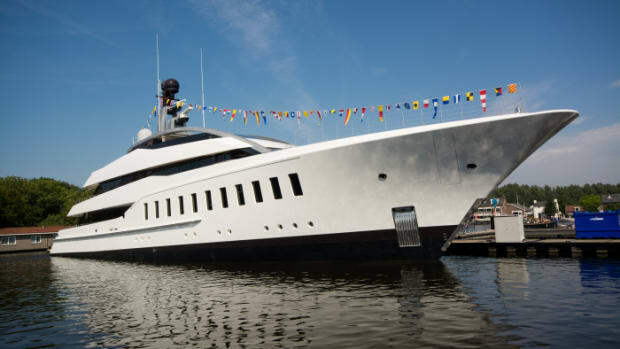 The owner had flown in guests from around the world to join the party and hear him thank the Feadship designers, engineers, painters and craftsmen who put in over one million man-hours to create this masterpiece of pure custom creation. The eco-friendly, electro-mechanical propulsion is, of course, fantastically complex. 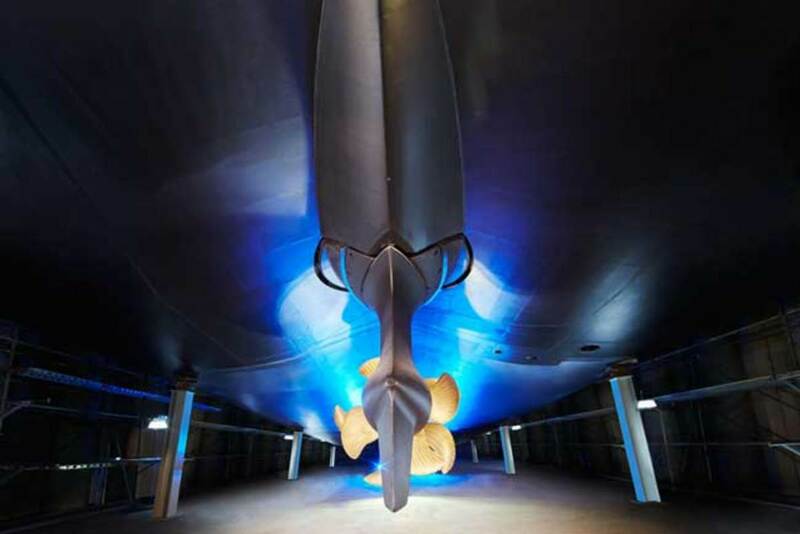 In a nutshell, however, it features a pioneering blend of a single Wärtsilä main engine, three generators, some one million watts of Li-ion batteries, a single central propeller shaft installation on the centerline and an in-line azimuting thruster. 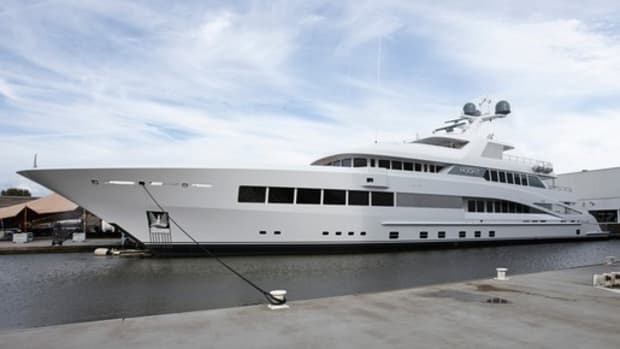 Combined with the yacht’s super streamlined hull shape, this means Savannah enjoys fuel economies of 30 percent and incredible flexibility in operations and loading of the power plant. 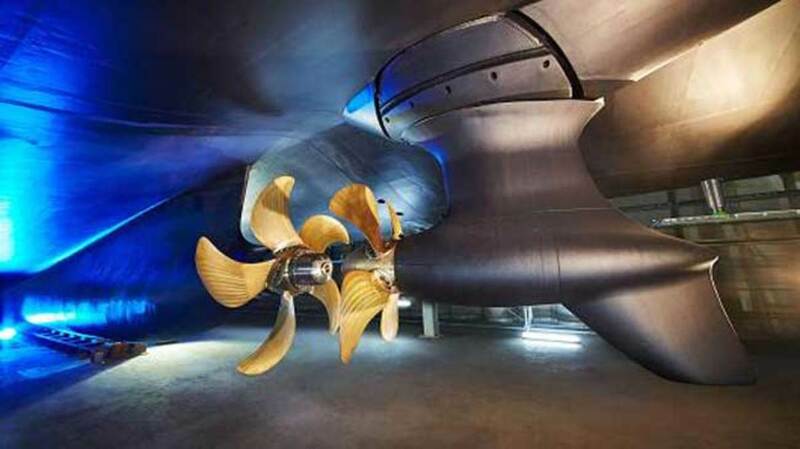 The way one gigantic propeller is installed in front with another electrically powered prop in its slipstream is a first for a yacht. 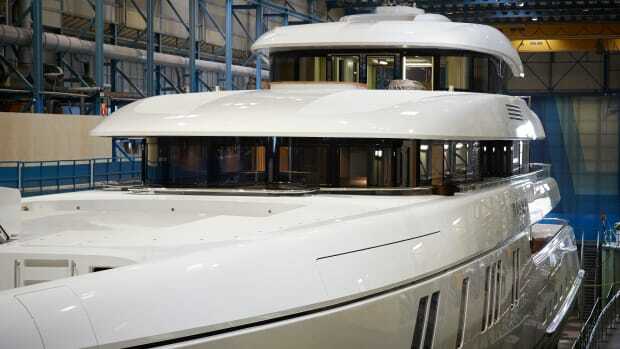 Another major innovation is the batteries, which provide extra speed at the top end, allow proper loading of the generators at any speed and facilitate super-quiet cruising at slow speeds without any engines turning. "The possibility to choose between diesel, diesel-electric or fully electric is truly exceptional. 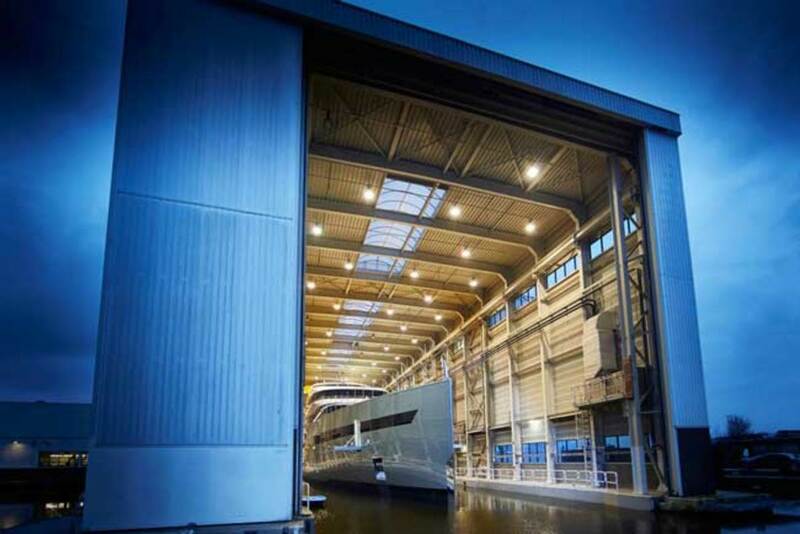 Only Feadship engineering and the rich experience of this yard could have successfully concluded a project of such scope and vision." The incredible sea foam metallic green exterior color scheme in was created by a human machine of several dozen craftsmen, who spent many weekends in a climate-controlled tent to create what is the world’s largest metallic-painted object. 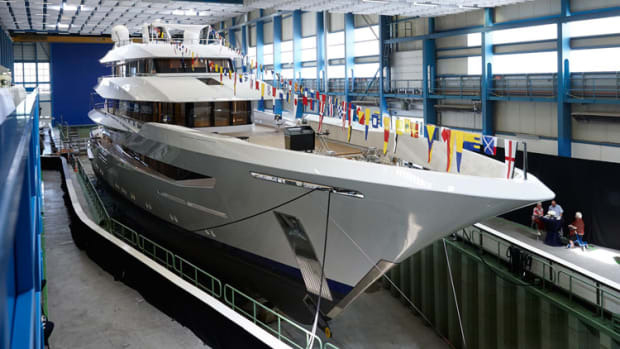 They used special mixing machines and electrically-charged spray guns to ensure all the metallic flakes were in perfect order and, not to mention, an additional ground-breaking achievement on a pure pedigree yacht. 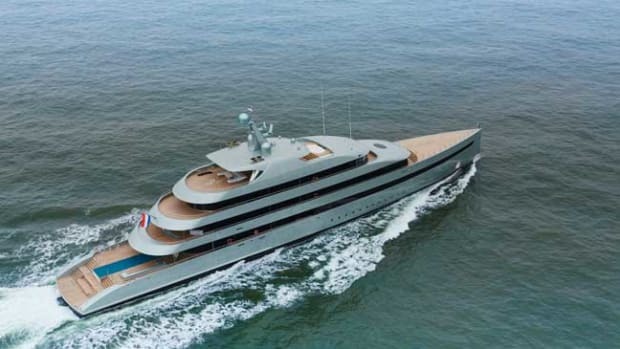 Due to privacy agreements, the interior remains a mystery; however Feadship has shared a few words on this equally amazing artifice. 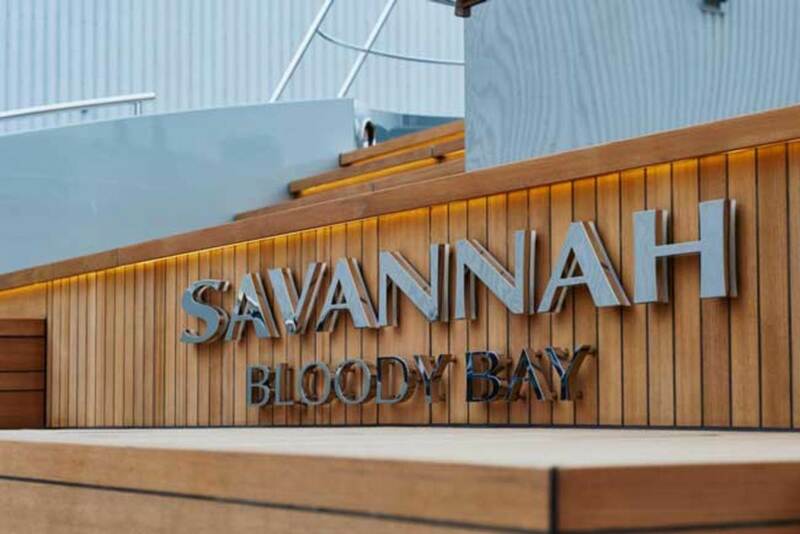 "Savannah has an ‘underwater lounge’ where guests can watch the fish outside or turn around and observe the fun and games in the nine-meter swimming pool. 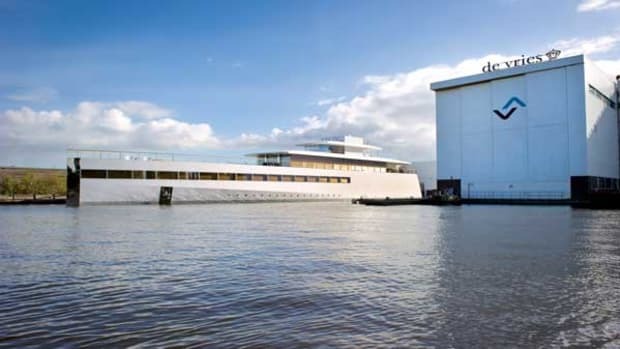 The room, which also converts into a cinema, is another first for a superyacht and features especially thick glass due to its position in the hull."